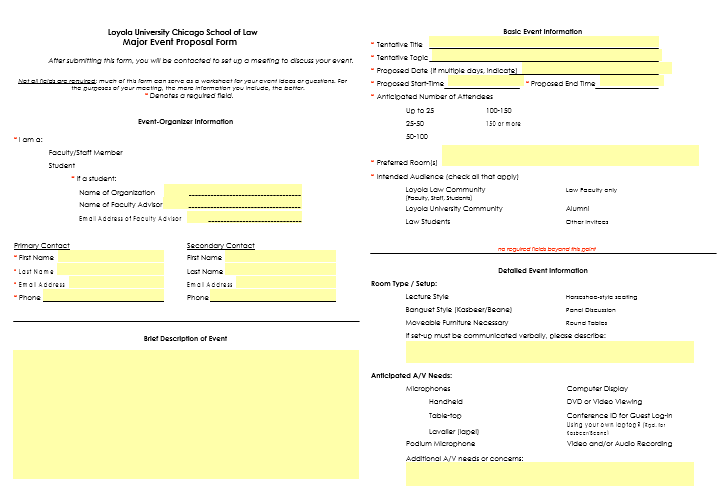 Event proposals are an important part of the entire event process. 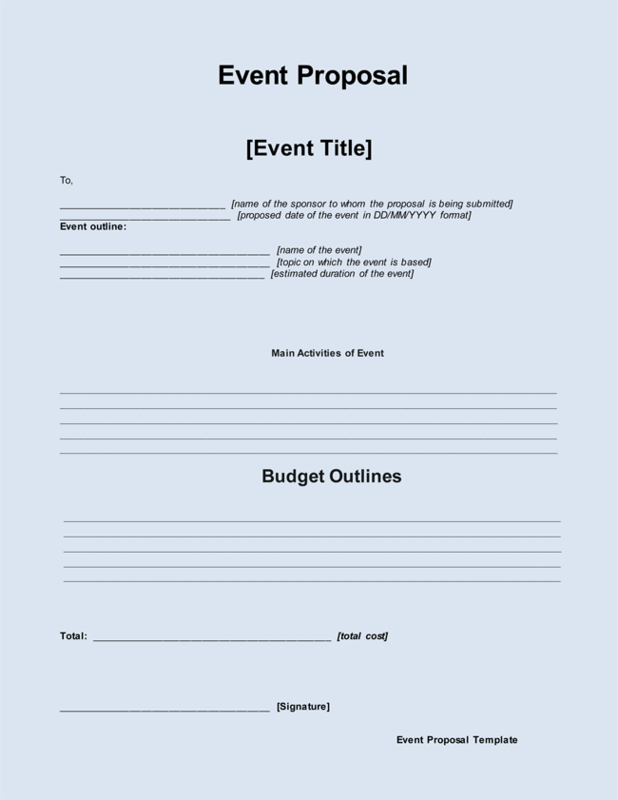 Of course, one could draft their own event proposal or streamline the process with an event proposal template. However, every event is different and there are different components of the event to consider. 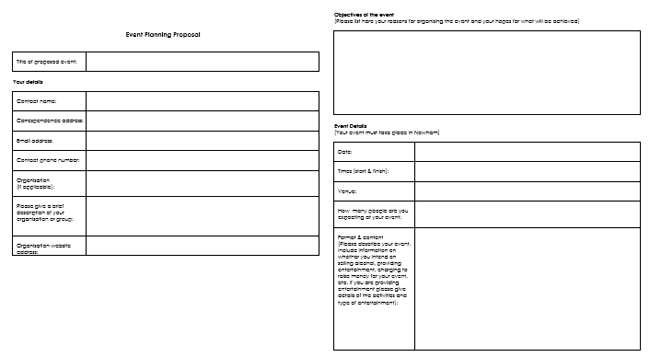 Crafting an event proposal takes a trained eye that is experienced with paying attention to every detail. The best course of action is to remember that the events may vary in scope. However, every event has a few details that are in common. 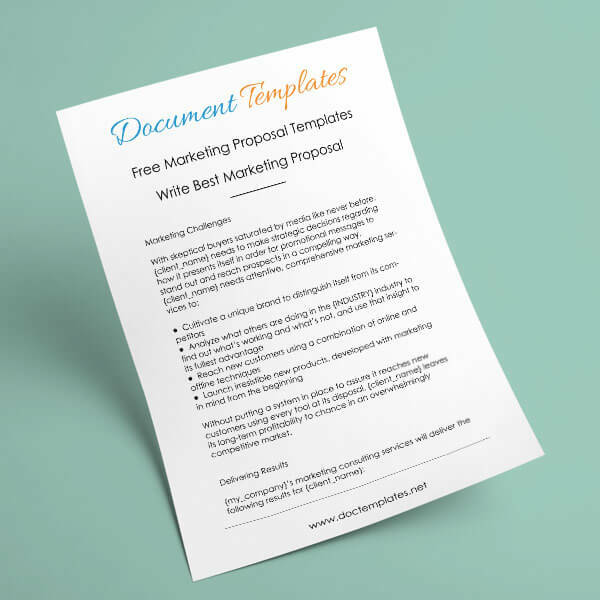 Every event proposal should include an event description, event bidder experience, venues offered in the proposal, event program, along with the proposed cost for the entire event. 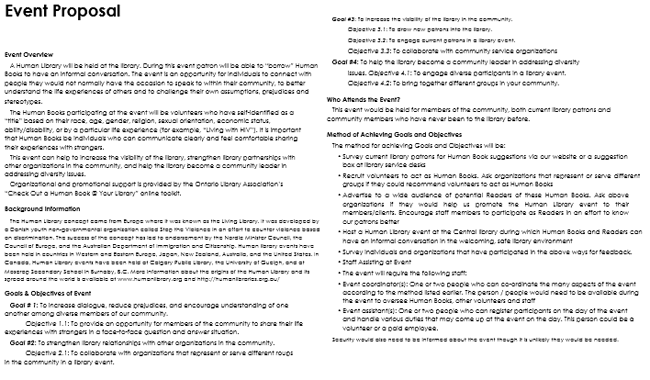 Event Description: This is a very important part of the event proposal. 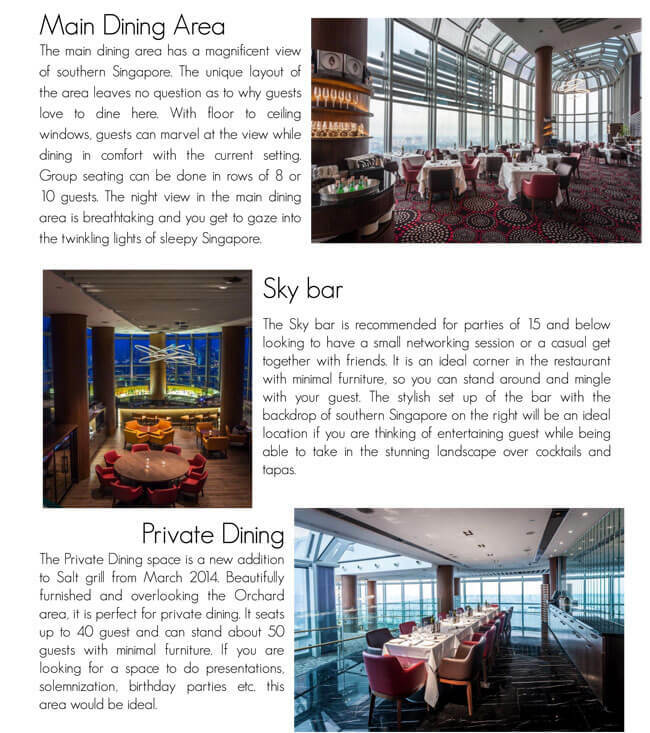 This area provides an opportunity for the event planner to really go into extreme detail and describe the event. Describe the reason for the event taking place. For example, a charity event for a local school or political party. Describe the type of people or guest that are attending the event. For example, local citizens or parents in the community. 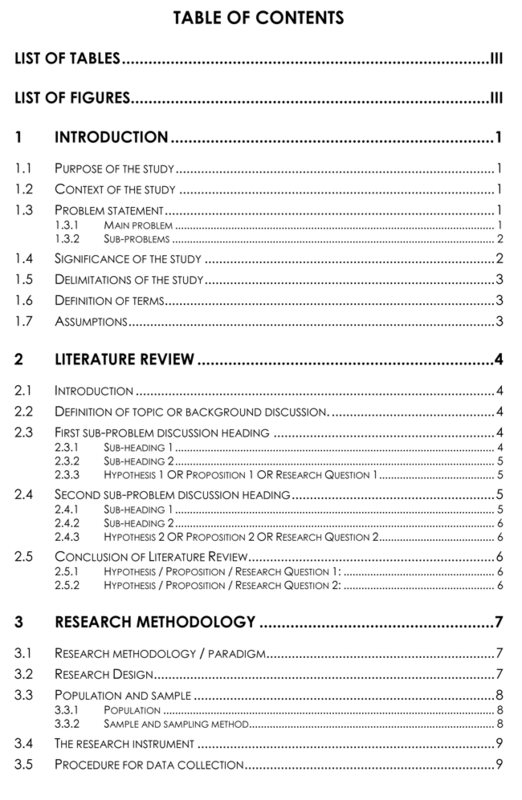 Describe the goals in detail. For example, to raise several thousand dollars for new school books or political candidate. Event Bidder: This section is for the bidder to sell their experience to the event management team or organization that is behind the event. 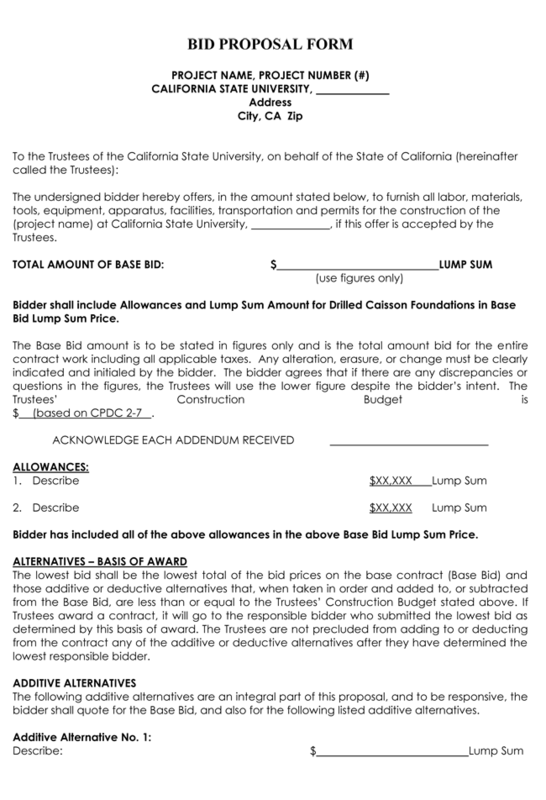 The event bidder should include details about their experience, education, and training. They should also include a statement about why they should be hired for the event. 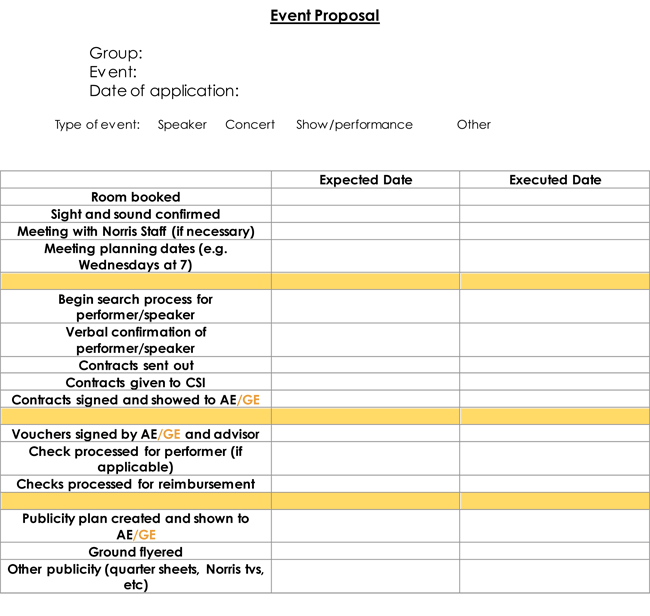 Venues: The event bidder should use this section of the event proposal to outline all the venues that are available for the event. This will give the management team enough information to know if the venues are right for the event that is planned. Include important information like the location, parking available, seating arrangements, lighting, facilities, rooms available, floor design, building design, building capacity, and more. 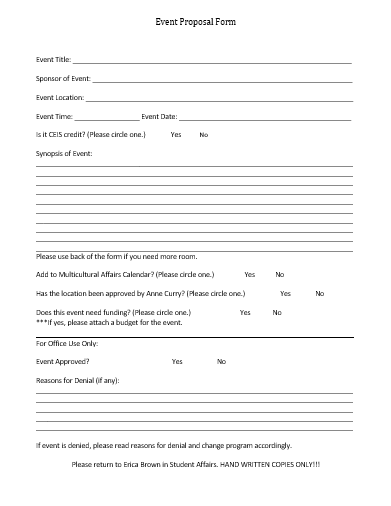 Event Program: The event program should discuss the hours and the date that the event should take place, along with any other important information like entertainment. 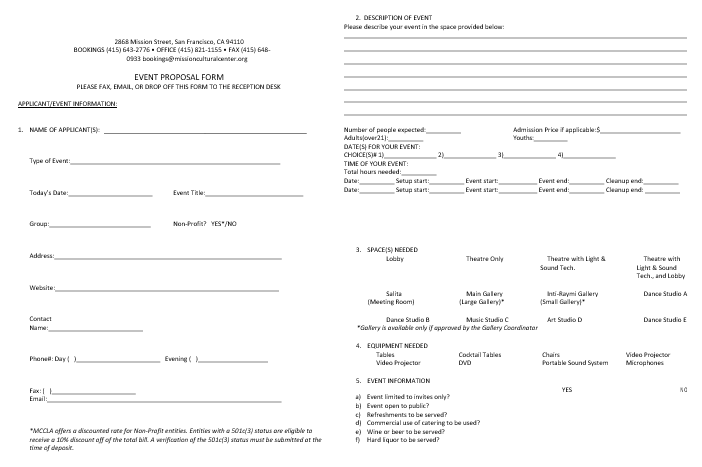 It is important for this information to be supplied well before the event is due to take place to allow time for changes to the event program. 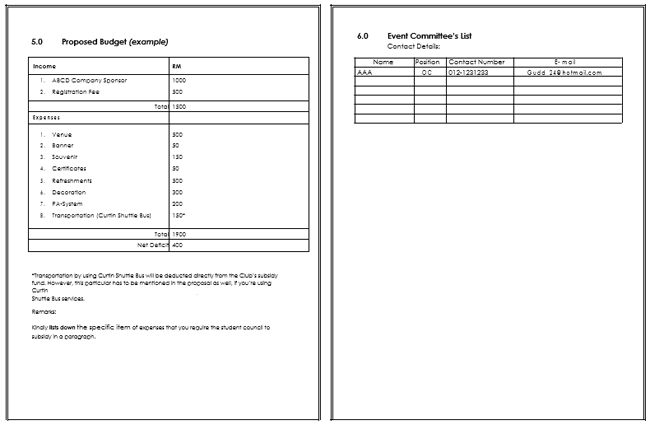 Proposed Cost: Every event proposal should include a section that includes the cost along with the budget for the event. 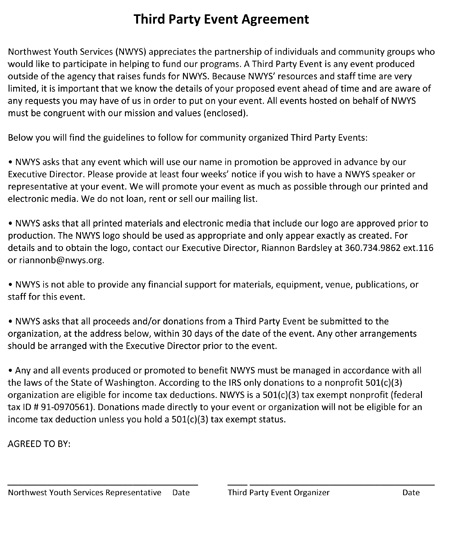 The budget is the amount of money that the group is proposing to spend on the event. The proposed cost is the real cost of the event. The figures should hopefully match. If not, there will have to be a major decision made over the budget. 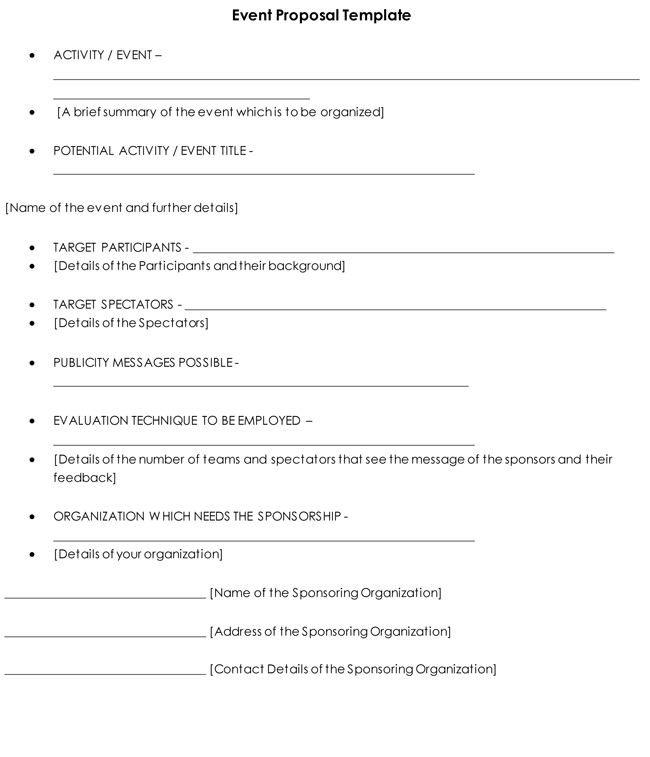 Here are samples of an event and website proposal template. 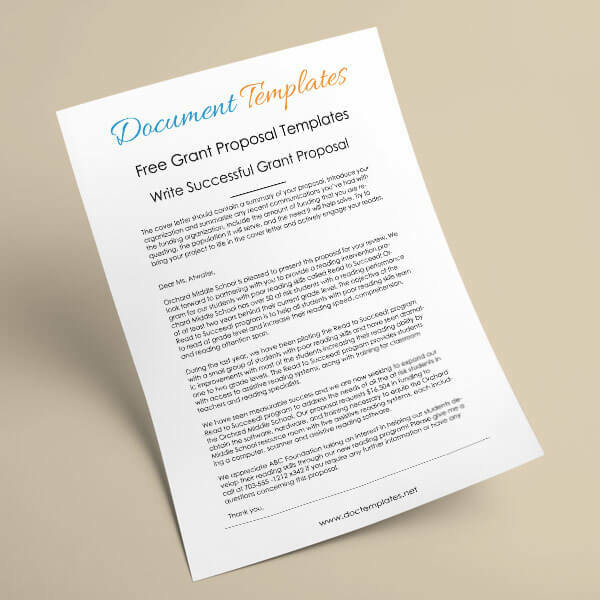 These are very high quality event proposal templates and great examples of the way to write a professional event proposal. 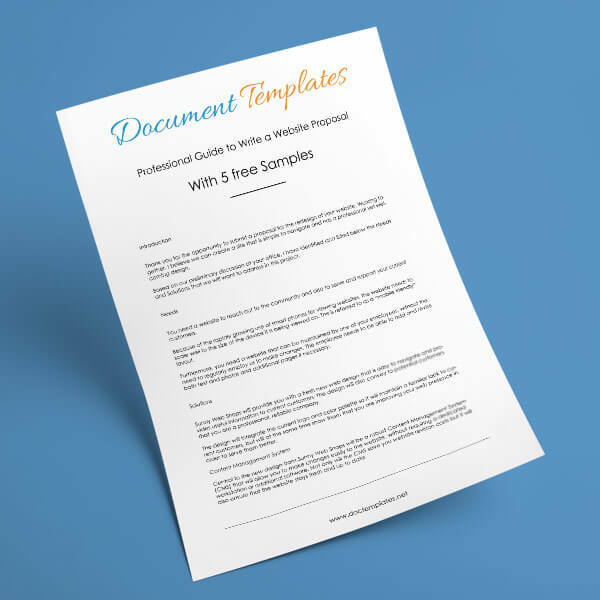 It includes fields for the specialty, time, cost, management responsibilities, and more. 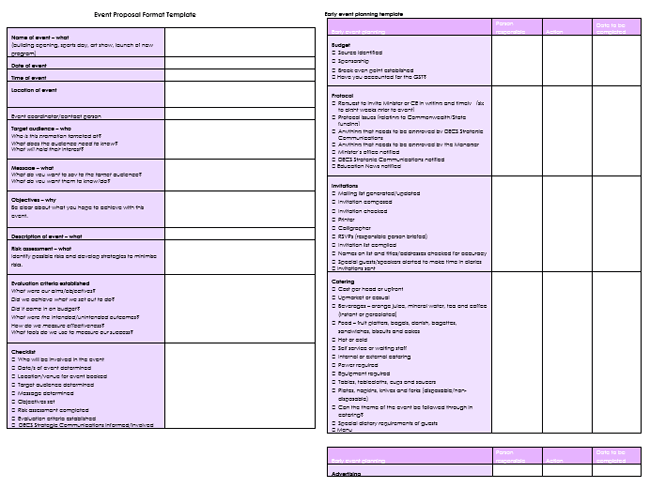 You may also want to take a look at event planning templates and event planning checklists for extra tools.